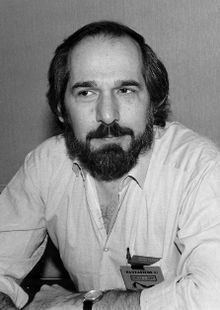 Charles L. Grant (Sept 12, 1942 – Sept 15, 2006) was a prolific American author and editor. He was the author of over 70 novels using five pseudonyms including Lionel Fenn, Simon Lake, and Felicia Andrews to name a few. He was not only a prolific novelist, but also a prolific author of short fiction, beginning with his first published story, “The House of Evil” which appeared in The Magazine of Fantasy & Science Fiction in 1968. His first collection of short stories, Tales from the Nightside, was published by Arkham House and won the World Fantasy Award. He wrote several science fiction novels, stories, and a couple of early horror novels as C.L. Grant before dropping the initials and writing as Charles L. Grant. He was not only a well regarded and hard working author, but also a highly respected editor of some of the most influential horror anthologies of his time, notably the Shadows series, which frequently included stories by well-known authors, and launched the careers of others. Grant began his career as a writer of SF, but the bulk of his output under his own name was in the horror genre, particularly his Oxrun Station novels such as The Hour of the Oxrun Dead, The Sound of Midnight, and The Last Call of Mourning. His horror novel The Pet is one of his best known books; it has been optioned for film but has yet to be produced. His story “Temperature Days on Hawthorne Street” was adapted for an episode of George Romero’s TV series Tales from the Darkside. Grant also wrote bestselling media tie-in novels for The X-Files. His work has been nominated for World Fantasy Awards in the Best Novel category, won the World Fantasy Award for Best Collection, Best Anthology, and Best Novella, was frequently nominated for Bram Stoker Awards, won the Nebula Award for Best Novelette and Best Short Story, and was regularly included in Best of the Year anthologies.